This is one of the drawings from the research. It depicts a sense of body awareness, relaxation and feeling comfortable. 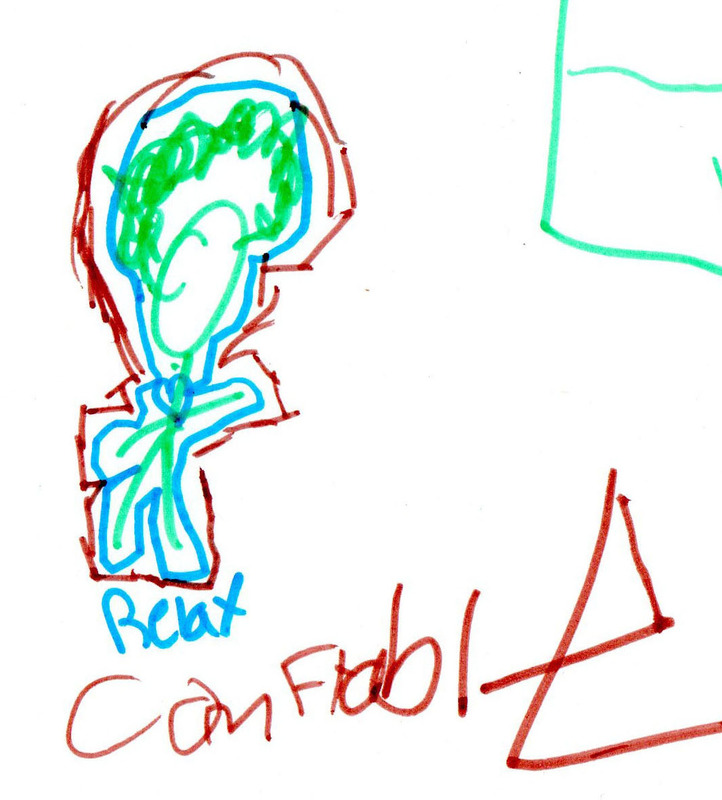 The body was drawn in green, the “relax” in blue and “comfortable” in brown. It was done following a mindfulness practice, the body scan. 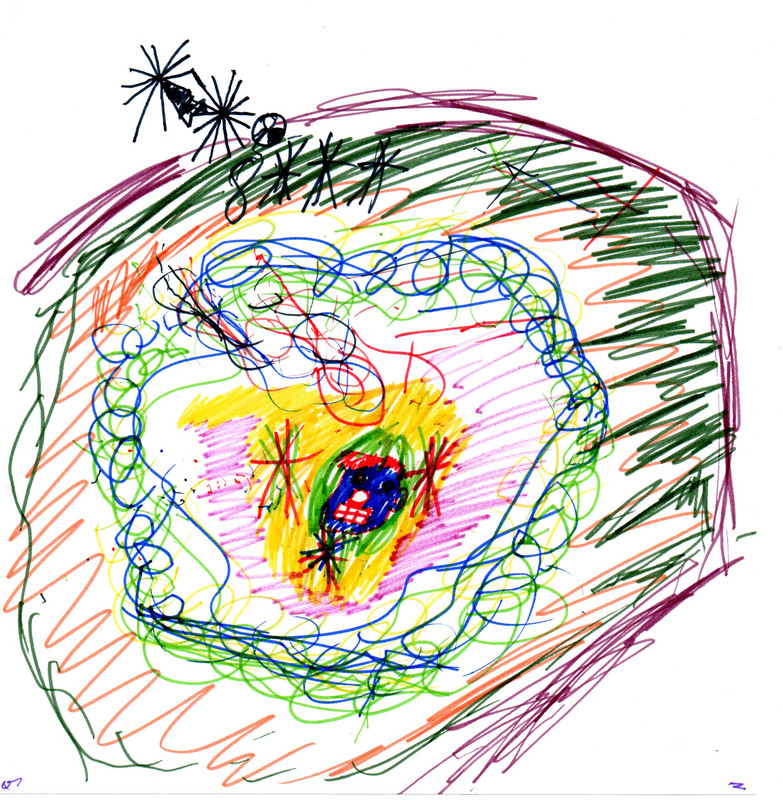 This drawings depicts the experience of one of the participants after the first mindfulness practice. 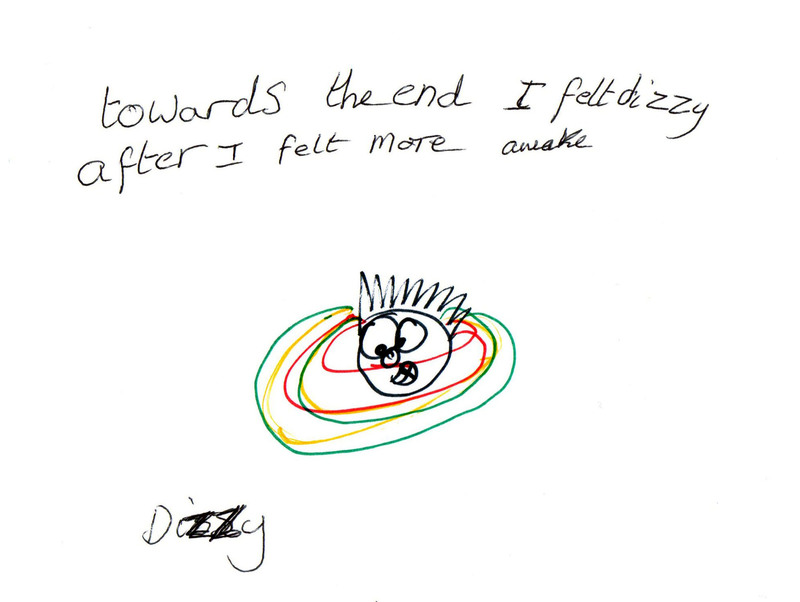 Feelings of being dizzy and then feeling more “awake” were described. This drawing was after the same participant’s second practice. Notice how the whole body is now depicted and there is a sense of “floating” above the floor. In the next session, four days after the second, this drawing was done. 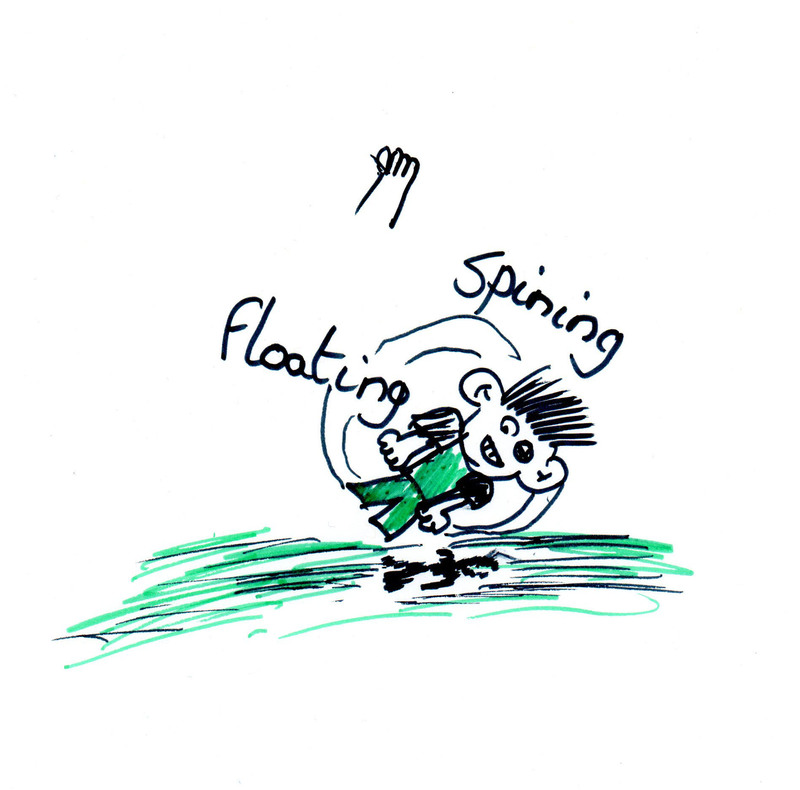 Notice how the participant is depicted in the centre and the sensations of spinning and movement are now detached from the self. 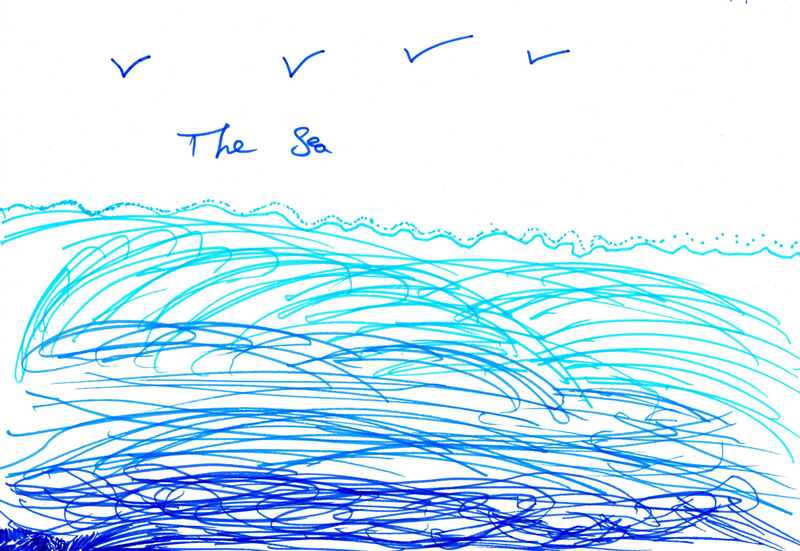 This drawing was done about a week later and shows the movements of the breath depicted as the waves of the sea. There is a sense of the depth of the breath and a sense of calmness. Overall, this series of drawings was interpreted using the participant’s words to describe what they depicted. They show an emerging sense of a perspective that allowed for detachment to be able to observe present moment sensations without becoming identified with them. The final drawing expresses calm and peace, qualities that arose through five sessions on practising mindfulness.